We offer 24 hour air-conditioning, common area with a PS3, hot showers, WIFI, island discounts and much more. Partition walls & black out curtains are included on each bed and are designed with your privacy and comfort in mind. Each bed is equipped with a reading light and socket for charging phones/ laptops etc. We have a quiet indoor common area, two balconies and an outside deck with cushions. 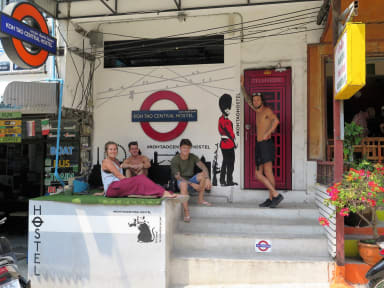 Across the street there is Reef Sports Bar & Restaurant (same owner) where the pool table is free for guests, board games and a small travel library. A 10% discount is available at Reef Sports Bar & Restaurant for our hostel guests. Secure lockable lockers are provided for personal belongings as well as 24 hour CCTV security. 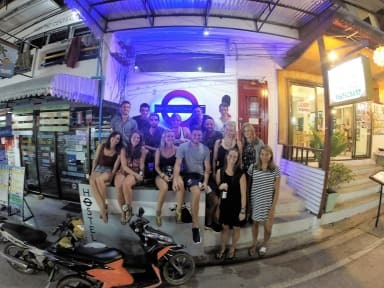 The hostel reception is located inside Island Travel agency right next door to the hostel. Check-in: from 12 noon (subject to house cleaning) check-out: 11am.